Comfortable, convenient, and cute... At least we think so! 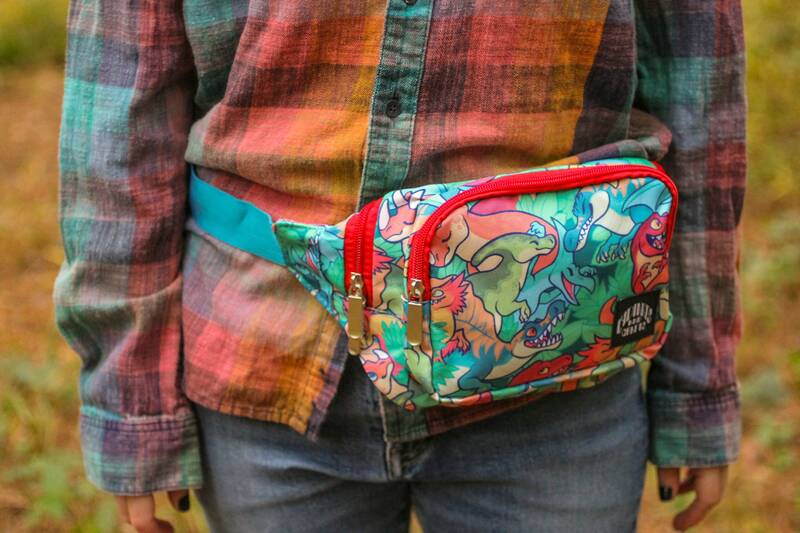 These hands-free bags are far more than a 90s fashion relic, the advantages of fanny packs are endless. 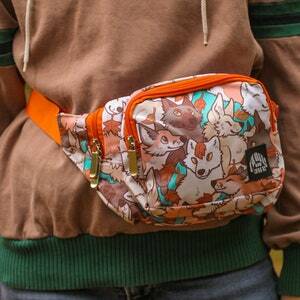 Perfect for dog walking and training, quick hikes, running errands, or day-to-day use! 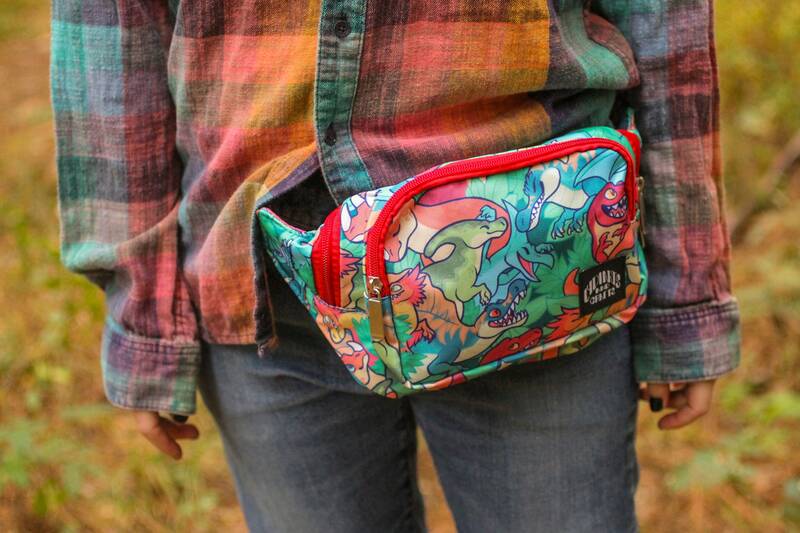 Fanny packs are ideal for keeping your wallet, keys, phone, and other essentials close to you at all times. 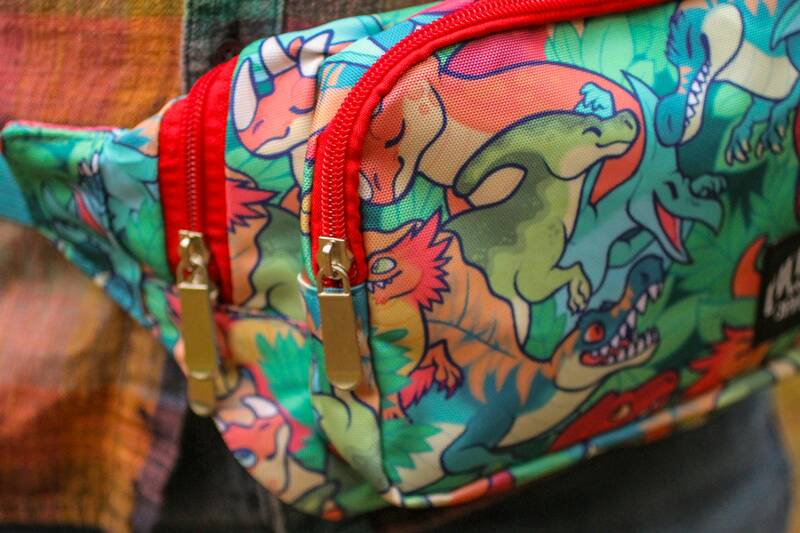 These bags are versatile, and can be worn in a variety of ways! 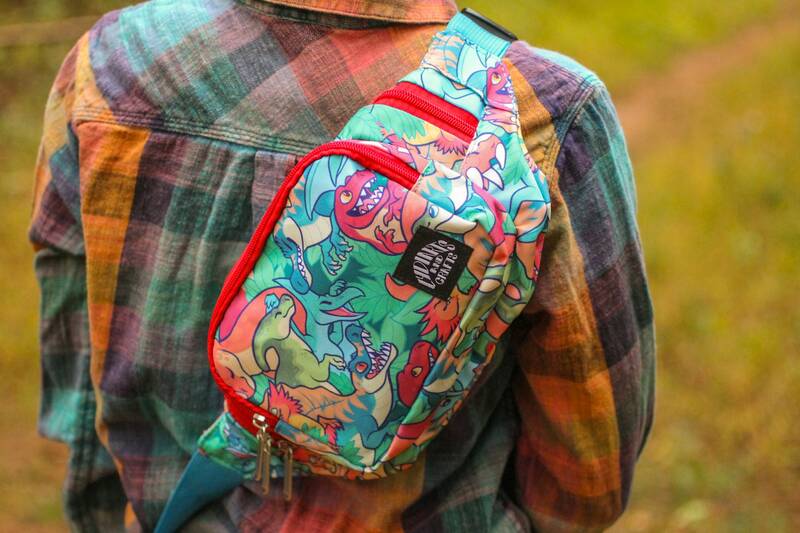 Wear cross-body, over your shoulder, or of course around your waist or hips. 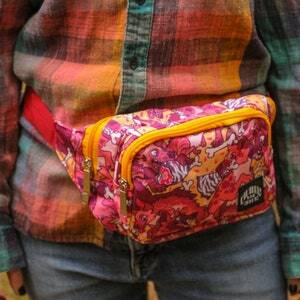 Our fanny packs have two sections with one internal zipper pocket in the main compartment. The front compartment measures ~6 by 7.5 inches (~15x19 cm), while the main measures ~6 by 14 inches (~15x35 cm). The interior pocket measures ~4 by 7 inches (~10x18cm). Both compartments comfortably expand outward! For a more permanent solution, we recommend hiring a local alterations business to take in the strap. 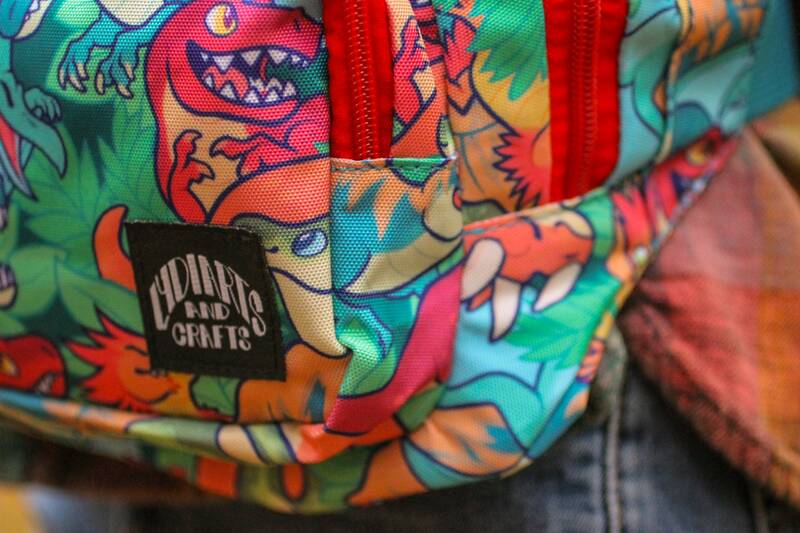 Bright colors and solid construction. 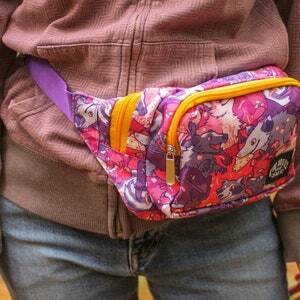 The adjustable strap lets me wear this to the gym, and around the waist of my fursuit. Really love it! Arrived quickly, it's well made, fits great, lots of storage including a good inside pocket for money and such. 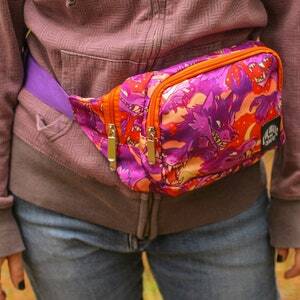 I got it for an upcoming trip, but it's also going to be my go-to for dog walk supplies. My daughter loves it! Thank you so very much!